You may already know about My Wire Guy’s Cable Cutter PC- A small PC that controls your entire TV-watching experience, with access to streaming shows, movies, music, sports and more. You can also access photos, videos, documents, emails and more in the same spot! All while using only your high-speed internet you already pay for, and giving you the freedom to cut ties with your cable provider and the hefty bill they send every month. But if you’re looking for a more simplified way to transition away from cable, consider another option - the TiVo Roamio OTA (Over the Air): the ultimate over-the-air DVR and streaming player in one. Now HD antenna users can take advantage of the advanced features of a DVR, at a low monthly price of $14.99. 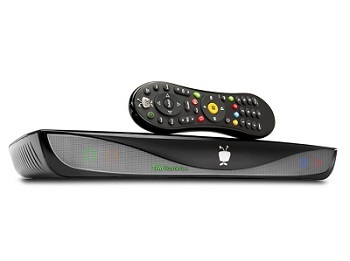 Just plug any HD antenna into TiVo Roamio and within minutes you'll record and control all your favorite shows, look ahead with a two-week program guide, and supplement your channel lineup with streaming apps like Netflix, Hulu Plus, YouTube and more. With the TV Roamio OTA, you can record up to 4 HD shows at once, with up to 75 HD hours of recording capacity (500 GB). You can search TV and streaming apps like Netflix and Hulu Plus simultaneously. The TiVo Roamio OTA also comes with a convenient RF and IR remote and TiVo app available for tablets and smart phones (iOS and Android). For more information and a free demo of TiVo, visit My Wire Guy in Rocklin at 5875 Pacific St. Suite D (at the corner of Pacific and Sunset). We are open M – F, 9:30 am to 6:00 pm.